Our resume writers are highly skilled in resume formats specific to the nursing and health care fields. We ensure your resume conveys clinical and administrative information in a compelling manner. 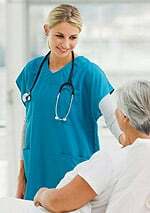 Our clients include registered nurses, registered practical nurses, dietary staff members, personal support workers, medical technologists and speech language pathologists, to name a few. Let our resume writers help you secure the job interview with a job-winning resume geared to your specific nursing and/or health care related field.